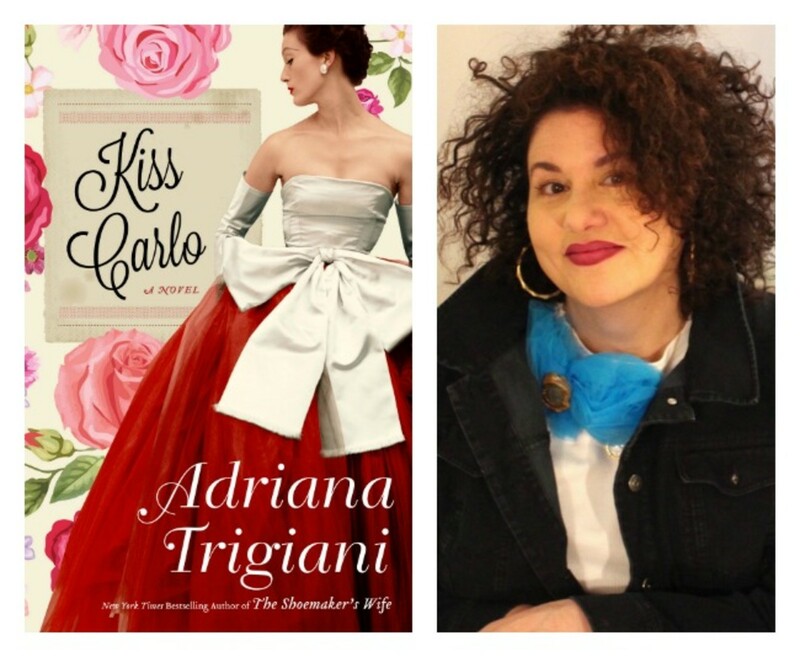 We recently chatted with Adriana Trigiani about her New York Times bestselling release Kiss Carlo, available wherever books are sold. Order your copy here. To learn more about Adriana, visit her website at www.adrianatrigiani.com. What inspired you to write Kiss Carlo, a post-war family drama set in South Philadelphia? My novels begin with a memory, or wanting to hold on to a memory of someone or something. In this particular instance, I was obsessed with a telegram my grandfather received in 1942. The telegram inspired me to go to Italy, to the town of the same name, from where his parents had emigrated. As I followed the steps of his family, I ended up in glorious South Philly, New Jersey (the shore is the Italian American Rivieria) and into New York City in the infancy of the golden age of television. The story began as a upbeat character study of an orphan adopted into a big Italian family who comes home after World War II and upends his life. Soon, at the behest of my editor, it became a sprawling epic, that defined this family in the post war culture in America. Let’s talk about the time period of Kiss Carlo. How much research did you do in order for the novel to ring true with your readers? I love to write historical fiction because of the research. I have a instinct for it; I’m the nosy one in my family. As I immerse myself in the time period, I study all aspects of it. For Kiss Carlo, you will be delighted if you love cars and hats of that period. Those two elements seemed to define station in life, aspiration, and definition of success. Your lid and your grid, or so it seemed. I have a deep reverence for our armed forces. So, I wanted to write about that in a meaningful way. The best way to write about the present is to mine history. So, I try my best to do that in totality regarding the world, morals, language and family relationships of my characters. I seek to get it right. And then of course, I let the spiritual element do the rest- and that’s significant. In Kiss Carlo, Nicky Castone is an orphan living with his uncle and working in the family business. What sparks his decision to leave the fold and venture into the theatre? I have learned, that faced with mortality, a human being either shrinks back and takes no risks going forward, or takes the gloves off and decides to own his own life. This played into the full rendering of Nicky Castone in this novel- from the first page to the last. Here was a young man who had done the right thing all of his life. He lived in service to a family he was grateful to for having taken him in, risked his life in a just war, and came home. Nicky decided that he wanted to live life on his own terms. Yet he knew if he lived the truth, that it would work out for everyone he loved- or so he hoped. In America, we can dream it, and with nothing we can make it. It’s a great theme in American literature. How does Nicky’s transformation affect his personal life? Once Nicky decides to change his life, to move out, to seek his dream and end his engagement, he is truly alone. When we strip away all of the comforts of life, we find out why we were born. When we are honest about what we should be doing with the precious hours of the gift of life, and we follow our calling, seek our bliss and do the job we’re supposed to be doing and love the person we are meant to love, life suddenly is fully realized. We can not find our purpose in any other person- only in our own destiny. As Nicky transforms, it is not without pain and loneliness- it’s a slog- but it’s the slog any person must make to own their own truth. I’m working on a few things- I’m so very very lucky. I am touring with Kiss Carlo, and I am listening. That will determine which of the projects I will pursue in full when I return home. I’m doing this for my dear reader- and that would be YOU.